Always useful to have more filters anyway! 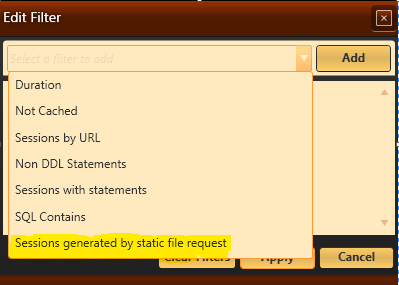 which leads to a question why static file requests create sessions at all? 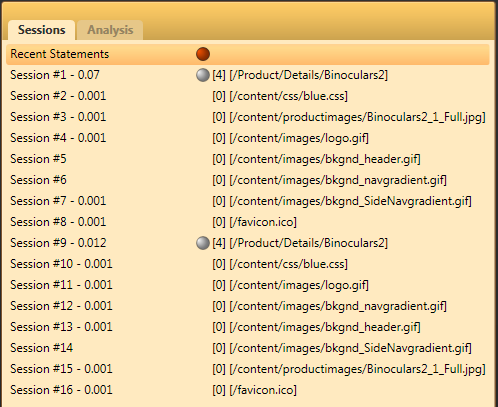 On IIS, it will handle static files directly, but cassini make them go through the ASP.Net pipeline. ASP.NET pipeline, but why do somebody want to open a session directly and not wrap it in something lazy? I can understand that you might sometimes want to see sessions listed if there are 0 statements. How about automatically "grey out" (or visually de-emphasize somehow) sessions with 0 statements? This would be in addition to your static file filter. IIS7 integrated mode will make static files go through the ASP pipeline as well. 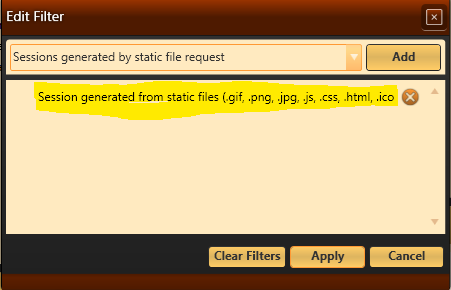 In my opinion, the right fix would be either to assign static handlers to css, js, gif, jpg... files. An alternative is to create a session inside a controller and only dispose it through a module if you want to take advantage of security, etc.